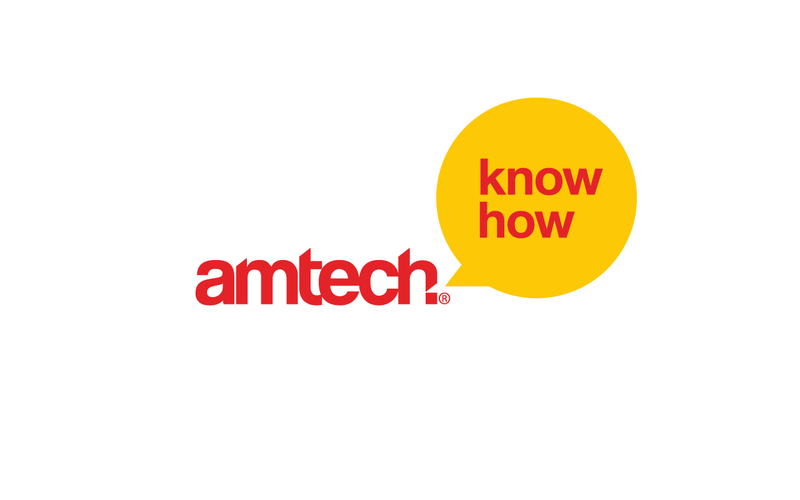 Amtech were trying to create standout in the busy DIY sector. Most tool brands were focusing on promising performance and power rather that ease of use. 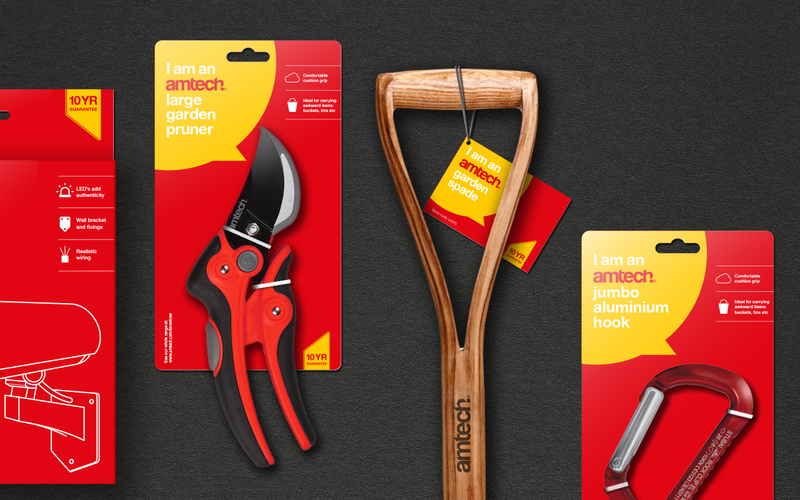 We spotted a gap in the market for a brand that could target the less experienced consumers, making DIY approachable and fun, at an affordable price. 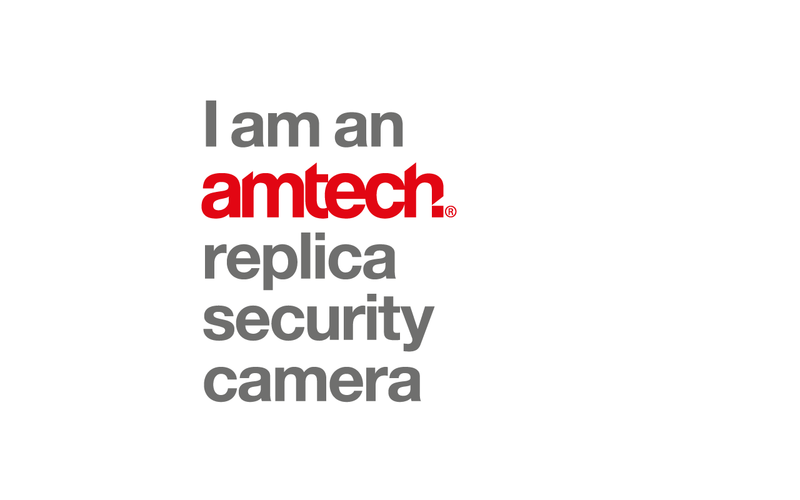 Our design for Amtech is based on the promise that the brand is on your level. Moving the logotype to lowercase and putting it into a speech bubble is a new way for the brand to introduce itself to potential customers. 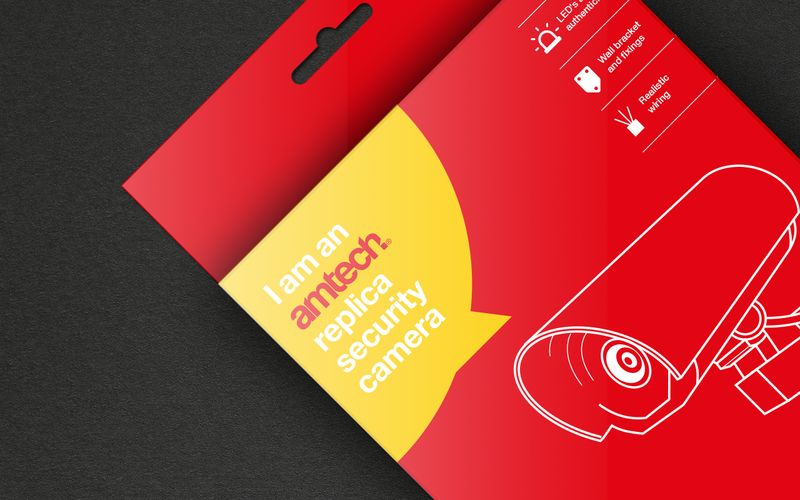 We took the speech bubble across all product packaging so it always felt that the brand was speaking your language. 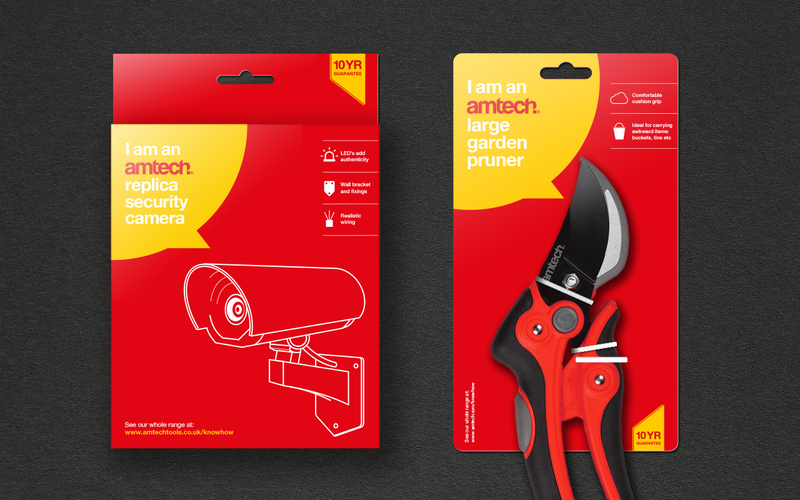 Choosing bold yellow and red for the brand, we created a design that has massive shelf stand out against the sea of dark products currently in the market. 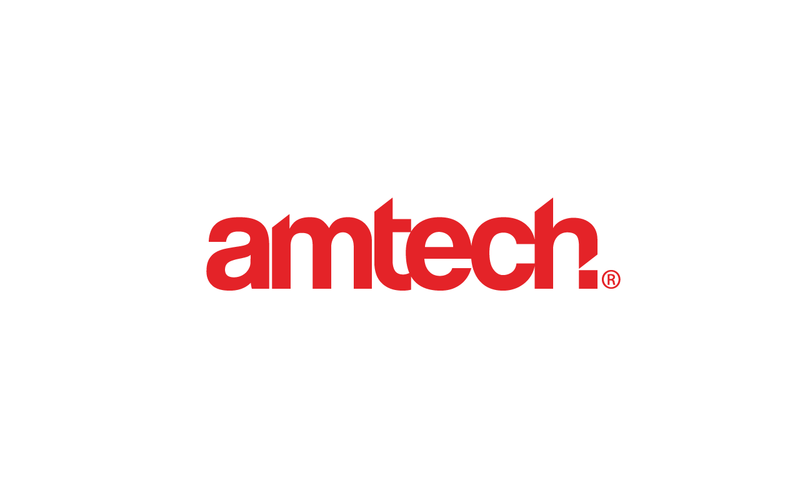 To launch Amtech’s new look and feel, we designed the brand’s tradeshow stand, creating the home of Amtech, a cosy environment that allowed the brand to demonstrate its hospitable side and show how it’s new packaging will fit into consumers homes.